Brian Deutsch is a Partner with McCurdy & Candler, LLC in Decatur. Brian’s practice areas of particular focus include fiduciary litigation, estate, trust, probate and guardianship litigation and business litigation. He gained his early experience as a law clerk to the Honorable Samuel D. Ozburn, Superior Court Judge, Alcovy Judicial Circuit. 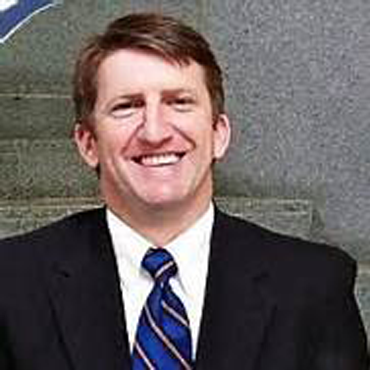 Brian then served as an Assistant District Attorney, Alcovy Judicial Circuit, before becoming an Assistant Attorney General, State of Georgia Department of Law in 2000. Brian was born in Elgin, Illinois, but grew up Nashville, Tennessee. His status as a competitive swimmer earned him a scholarship to the University of Georgia to compete for the Bulldogs. The same work ethic he applied in the pool transferred over to the classroom, where he earned a bachelor’s degree in political science in 1993 followed by a JD from UGA’s Law School in 1996. Brian, his wife and their three children live in Avondale Estates. He is a Director of the Avondale Swim and Tennis Club, a member of the UGA Letterman’s Club and has served on the Board of Directors of The Museum School of Avondale Estates.